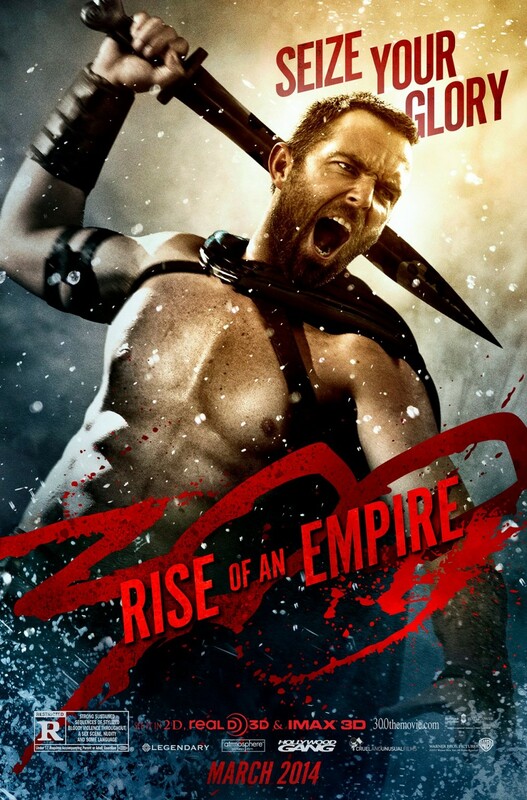 300: Rise of an Empire – Seize your glory. Screenplay by Zach Snyder and Kurt Johnstad. If you are not a fan of bloody, gory violence then skip this one because the blood comes fast and furious by the bucket full. I have never seen so much blood. Although there has been eight years between the two movies this movie ties in very well with the first movie. Xerxes is on his quest to conquer other countries and he encounters King Leonidas in the first movie. In this movie, Artemisia (Green) controls the Persian armada that is going to invade Greece. She encounters our main protagonist Themistokles (Stapleton) who is an excellent adversary and Artemisia notices his skills immediately. There are incredible battle sequences throughout the entire movie and one incredible negotiation between Artemisia and Themistokles. The back story on some of the characters is very well done and the story is hidden nicely by 101 minutes of death, dismemberment, arterial spray, decapitations, rapes, and the occasional arrow flight path. If you like action and can handle the gore this movie will not disappoint you. If you liked this try: 300, Sin City, Gladiator, Clash of the Titans (2010).